A New Cycle in the Saga of America's Libran Scales of Justice? On Monday October 8, 2018 at 11:47 pm edt, a New Moon perfects at 15Lib48 conjunct US natal Saturn (14:48) and denoting the beginning of a new cycle of activity in the realms of Saturn. That the Libra New Moon conjoining our national Saturn relates currently to the highly unpopular Kavanaugh seating on the Bench of the Supreme Court as a new term for the Justices begins seems obvious but in this complex universe of ours, this can hardly be the only result. Upon reflection, my suspicion from within our two-tiered justice system, is that one result has to do with legal planet Saturn's realms of lawmaking and enforcing, responsibility, realism, authenticity, and accountability. For more details see David Sorota's article America's New Aristocracy Lives in an Accountability-free Zone in which Brett Kavanaugh is mentioned along with several other topics that lesson-bringer and taskmaster Saturn cannot possibly be pleased with. Naturally, Donald Trump's imperative that it be Kavanaugh on the Bench is noted because Brett is in favor of expanding presidential power (without accountability thus placing POTUS above the law) and will work to destroy states' rights to hold the powerful accountable for their crimes through state prosecution. Other far right SCOTUS decisions will be forthcoming, their degrading effects unknown but suspected at this time. Yes, America's exalted-in-Libra natal Saturn has been under fire for decades (if not centuries!) 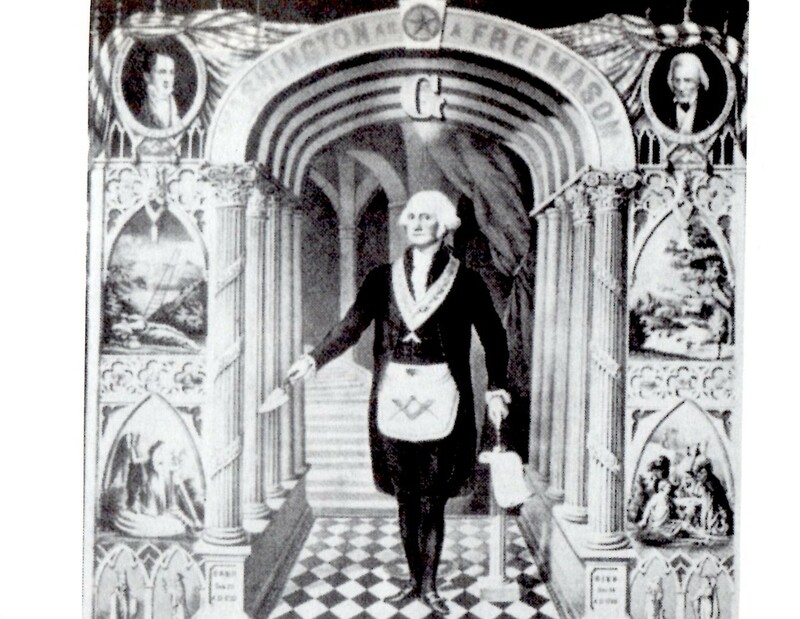 and it became notably obvious in recent memory during the presidency of Bill Clinton when, in 1996, US natal Saturn turned retrograde by progression and has for years, been in early Scorpio rather than the legal eagle planet's more upstanding, comfortable position in Libra so that America's tradition of (Saturnian) reliability began to fade into Mars-Pluto-ruled Scorpio's brooding darkness and obstinacy. And note that today's position of transit Saturn conjoins US Progressed ('SP') Moon (The People) which, as I type, falls at 2Cap31, a depressive, oppressive influence that a majority of the populace feels via the Kavanaugh confirmation and the expected negative results from Bart's future SCOTUS decisions which are expected to sway the court toward far right conservatism. 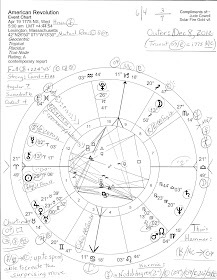 And since the horoscope of the New Moon in Libra links to the Pentagon's natal chart (plus, the New Moon chart's angles conjoin its natal angles--with US SP Jupiter Rx @15Cancer conjunct the Pentagon's natal ASC), below is our death star's natal chart with the Libra New Moon chart surrounding it. 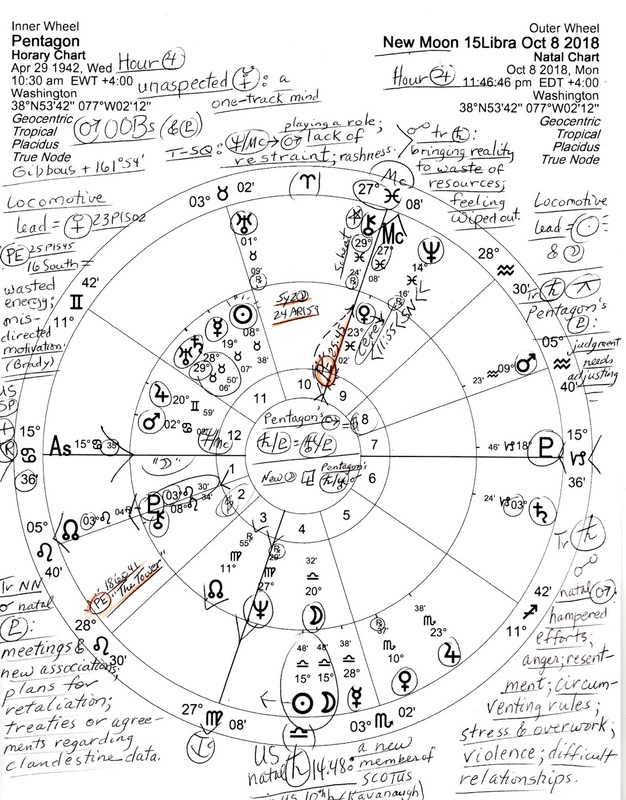 Notes are penned on if you care to enlarge the image where you'll see transit Saturn @3Cap24 in Pentagon's natal 6th house of Military, Police, and Civil Service inconjunct natal Pluto @3Leo30 (which conjoins its natal Chiron = plutocracy). Transit Saturn also opposes the Pentagon's natal Mars, the warrior planet (see notes on chart, lower right). Transit Pluto @18Cap46 is angular (conjunct Descendant) and, as you see, has entered the Pentagon's natal 7th house of Open Enemies and Partnerships from where Pluto squares the Pentagon's natal 4th house Moon @20Lib32, a period of obstacles placed upon desires. 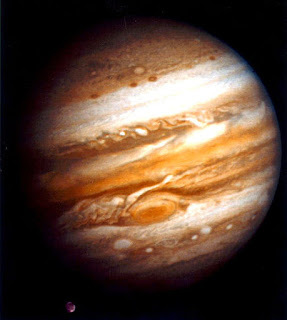 This Pluto also inconjuncts natal Jupiter (@20Gem59 in 12th house of Politics, Karma, and Self-Undoing) indicating opportunism is underway--that someone is 'victimizing' the Pentagon to satisfy their own personal objectives. Now who in Washington would do such a thing? Well, 20Gemini points directly toward Trump's natal Sun-NN-Uranus trio and also toward America's natal Mars in Gemini which brings in our national Mars-Neptune square of misguided motivations and wasted energy which happen to be the themes of the Pentagon's Prenatal Solar Eclipse (@25Pis45--conjunct its Midheaven, the Goal Point!) in the 16 South Saros Series (see note on the chart). A 16 South solar eclipse last manifested on April 29, 2014 @9Taurus conjunct the Pentagon's natal Sun (8Tau38) and the next 16S won't occur until May 9, 2032 @19Taurus--conjunct the Pentagon's natal Mercury (19Tau07 in 11th house). Misdirection and waste indeed. Now for more (soothing!) information check out an excellent overview of current planetary positions at Libra Seeking Balance concerning the New Moon in Libra. 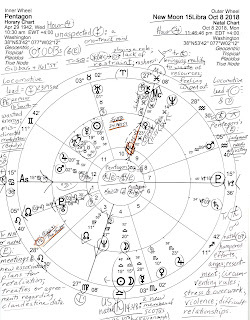 Three Recommended Posts of a Saturnian nature: Trump Inauguration's 2019 Solar Return (horoscope shown) where you'll see transit Saturn @13Capricorn opposing US natal Sun (13Can19 = leadership), a time of challenges when failure to accept responsibilities in the past may come back to haunt in the form of accountability and/or limitations; and The Saturn Return of Mr. Trump: Authority Challenged; plus, The Prenatal Eclipse and Unaspected Saturn of Justice Neil Gorsuch.